Sharon Strunk, 71, of rural Hoffman died Monday, November 26, 2018, in Santa Fe, New Mexico. Sharon Louise Strunk was born on October 26, 1947, in Fergus Falls, Minnesota, the daughter of Arnold and Doris (Mickelson) Ehlers. She was baptized and confirmed at First Lutheran Church, Elbow Lake and graduated from Elbow Lake High School in 1965. Sharon earned a degree in Elementary Education from Moorhead State University and later furthered her education in Early Childhood and Family Education. Sharon married David Strunk on June 28, 1969, at United Lutheran Church, Elbow Lake, and they ran a dairy farm outside Hoffman, Minnesota. She taught six years at the elementary school in Elbow Lake then stayed home to raise her family. Sharon was later instrumental in starting the Early Childhood Family Education Program for Hoffman-Kensington Schools and eventually returned to teaching for West Central Area School District. In 2008, she retired from full-time teaching and she and David started wintering in Mesa, Arizona. Sharon cherished spending time with her grandchildren as many of them spent many summer days at what was lovingly nicknamed "Grandma's Daycare." She enjoyed quilting, baking, singing, and teaching 55 Alive courses. Sharon served many years on the Hoffman-Kensington School Board and West Central Initiative Board. 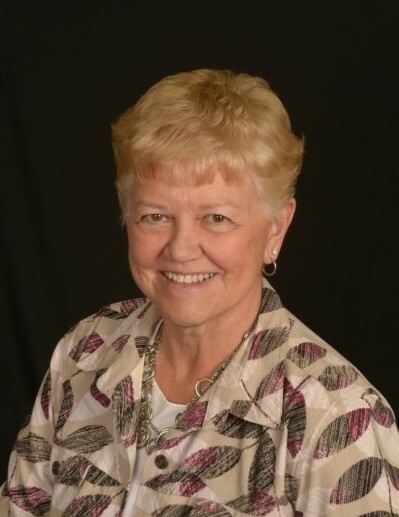 She was President of the Hoffman Lions, served on the Horizons Board, and was an active member of Zion Lutheran Church, where she served many years as Sunday School Superintendent and sang in the church choir. She is survived by her husband, David; four children and their families, Renae (Tony) Lien, Tyler and Reid of Elbow Lake, Steven (Sara) Strunk, Isabelle, Emily and Alex, Kurt (Janee) Strunk, Alexis, Tenley and Kennedy and Angie (Jeff Smith) Strunk, Jacob, Ava and Rylee all of Hoffman; two brothers, Robert (Connie) Ehlers of Barrett and Mark (Diane) Ehlers of Elbow Lake; and by numerous relatives and friends. Sharon was preceded in death by her parents, Arnold and Doris Ehlers; father and mother-in-law, Cam and Helen Strunk; and brother-in-law, Keith Strunk. Visitation: 4:00 PM – 7:00 PM Monday at Erickson-Smith Funeral Home, Hoffman with a Prayer Service at 7:00 PM. Visitation will resume one hour prior to the service at the church.